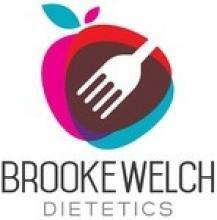 Brooke Welch is an Accredited Practising Dietitian & Nutritionist, with a Bachelor of Nutrition & Dietetics from The University of the Sunshine Coast. Brooke has worked in both public and private sectors throughout Queensland and has a special interest in weight management, chronic disease, bariatric surgery, diabetes and digestive issues. Her approach involves educating, motivating and supporting patients to implement realistic and practical strategies so they can achieve their nutrition and health related goals. Brooke is a strong advocate for prioritising a healthy lifestyle and has her own personal interests in Pilates, fitness, the outdoors, good food and cooking. Brooke would love to help you reach your health and nutrition goals, please contact the Blue Care Live Well Centre on 07 5432 6900 to arrange your appointment. She works at Golden Beach Medical Centre every second Monday from 8am to 5pm.